With advanced digital calendars, gone are of the days of inputting logistical information in separate data fields. This is why the automatic parsing of data feature found in Flexibits’ Fantastical makes the application one of the best calendar clients for the Mac the iOS. 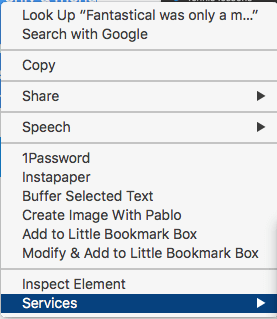 Flexibits has a great set of video tutorials produce by Mac Power user, David Sparks, which covers all the awesome features of Fantastical. The focus of my article is about effectively typing logistical information in an email so that recipients can take advantage of advanced digital calendar clients like Fantastical, Calendar, Google Calendar, Outlook, etc. With Fantastical, when you select logistical information, usually in an email, it can be quickly added to Fantastical, which is parked in your menu bar. Fantastical will automatically recognize and parse the copied date, time, location, and title of the event or meeting to create and schedule the calendar date. Watch the following video see it in action. Of course if you’re creating an event for yourself, you can simply type data in the text box and Fantastical will also parse the data int the data fields. You can type, for example, “Meeting with Joan, next thur., 3pm, Starbucks,” and it will fill in the data fields for you. It’s almost magical. I’m not familiar with other popular digital calendars like Outlook, but I do know that Google Calendar also has a Quick Add feature for typing or pasting logistical information that it too will automatically parse into the appropriate fields. These calendar automation features are great, but far too often I receive emails which senders or makes it difficult to select logistical information to quickly add to my calendar. Let me explain. 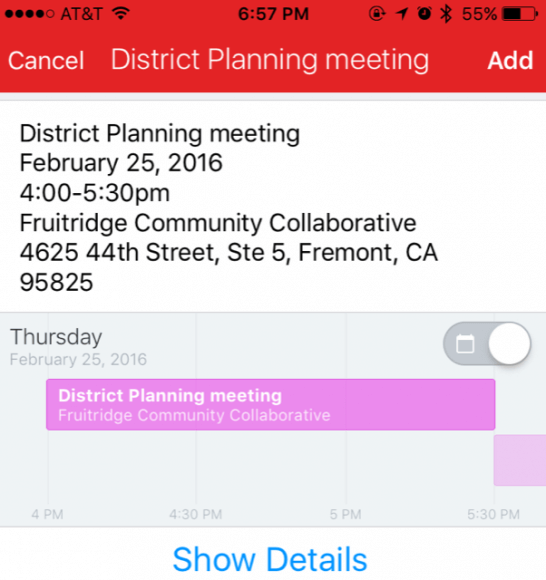 March 25, 2016 is the District Planning meeting at 4:00pm The meeting is held at the Eldridge Community Collaborative at 4625 44th Street, Ste 5, Fremont, CA 95825. Luckily Fantastical does a good of filtering that information for what it needs. Void of all the unnecessary text, the information is not only easier to read, but applications like Fantastical will parse the information better, filling in the appropriate information fields. More so it’s even easier to type of logistical information as lines of text than to include it a wordy paragraph. I don’t know about you, but I still get too many emails in which senders bury logistical information the first paragraph or the body of their emails. I even receive image attachments of fliers in emails in which the logistical information can’t be copied and pasted. Notice also in the video I used the nifty Mac utility, PopClip to send the selected information to Fantastical. 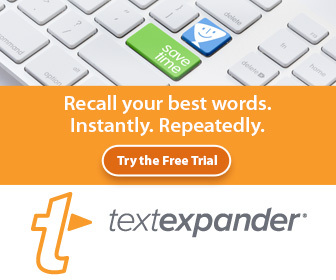 The PopClip extension is one of dozens of third-party extensions created for triggering actions with selected text. 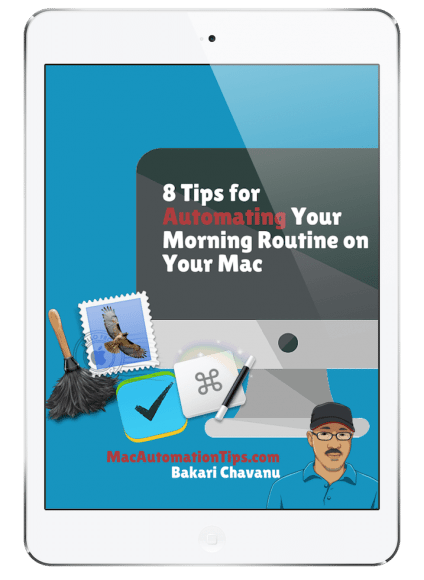 It’s an essential utility for Mac power users and automators. 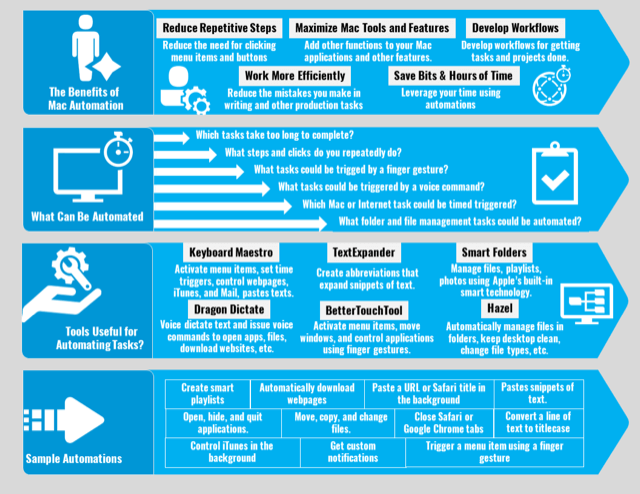 These input methods simply save you the trouble and time of typing. 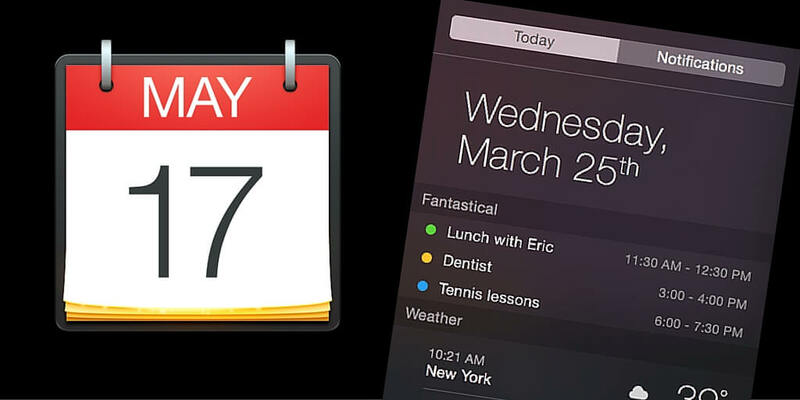 With Fantastical, there’s very little reason to use Apple’s default Calendar, which Fantastical does sync with it. The iOS version of Fantastical also automatically parses out selected and shared data and creates an event right from within an email or text message. Let us know if you use Fantastical and what features you like best. Also, do you too get emails in which logistical information could be better written for easier capture?